The news is likely to cheer sceptics who have suggested that WeWork’s leases to small companies on short contracts means it is more exposed to economic shocks than other office owners. But it has begun to target leasing spaces to blue chip clients looking for short-term space for specific projects or teams. Since the last financial crisis, companies have often looked for more flexibility with their office space in order to reduce or increase the number of staff more quickly. In the year to the end of September 2017, WeWork expanded the number of large companies using its space by 370pc. 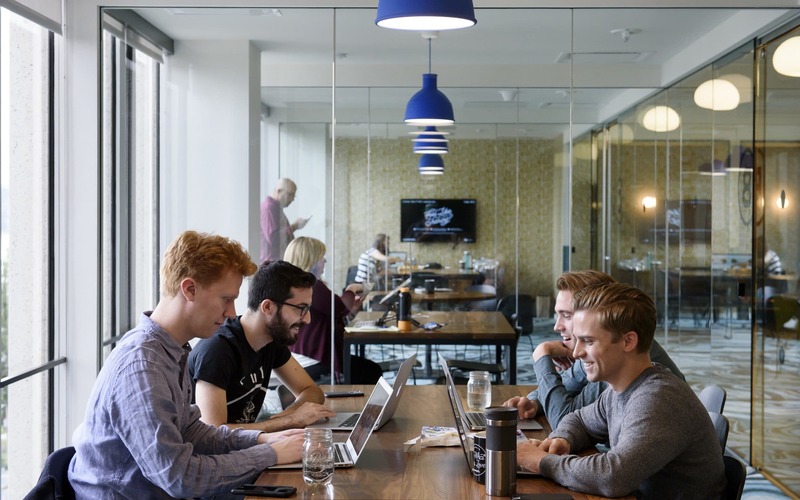 Leni Zneimer, general manager for UK and Ireland at WeWork, said the company was increasingly finding that larger companies want to provide “a sense of community”, which they can find in co-working spaces. “Just as smaller companies are focused on growth and perhaps becoming more like bigger companies, those large companies want to remain innovative and dynamic and foster qualities associated with start-ups,” she said. “We already have large companies such as HSBC, Barclays, Microsoft and Salesforce in our locations and look forward to adding many more.” WeWork is valued at about $20bn (?15bn).